A simple but powerful model for driving successful change in individuals and organizations. 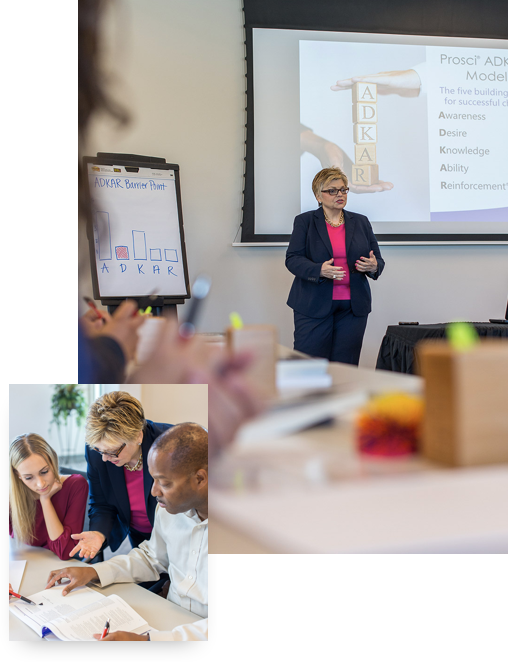 The Prosci ADKAR® Model is one of the most widely requested and sought-after models for change management. Backed by 20 years of Prosci research, the model is based on the common—yet often overlooked—reality that organizational change only happens when individuals change. The ADKAR Model drives powerful results by supporting individual changes to achieve organizational success. The model offers a structured approach to ensure that each individual experiencing change moves through the five phases necessary to make overall change successful. Prosci’s ADKAR Model is the best framework to prepare individuals to accept a significant change and thrive in a new way of doing business. What makes the Prosci ADKAR Model so successful? Prosci's change management methodology and ADKAR Model are continually developed based on research since 1998 with over 4,500 participants. The methodology and model are unique. They come from real project leaders and teams reflecting on what worked, what didn’t work, and what they would do differently on their next project or change initiative. At its core, Prosci's methodology is the collective lessons learned across the globe by those implementing change. The ADKAR process is effective and powerful. The systematic progression toward change enables proper buy-in and readiness. It has helped our company and clients. PROSCI is a choice business partner. Why do I need to apply the ADKAR Model to my change initiatives? 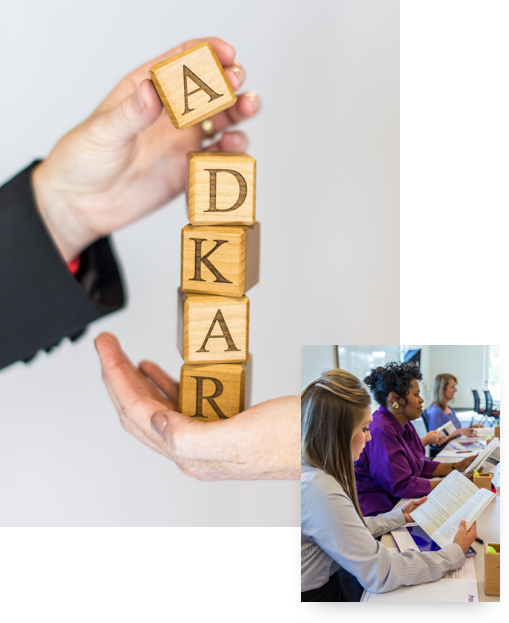 The ADKAR Model paves the way for successful change by equipping people with a common language for change. It enables leaders to plan and guide change activities, and it helps individuals within your organization see themselves as part of the solution. To help guide you on your change journey.